National Aviation Academy (NAA) has been training aviation professionals since 1932. NAA’s Aviation Maintenance Technology and Aviation Maintenance Professional courses are designed to provide the education and experience required to become a licensed Airframe and Powerplant (A&P) technician. NAA is dedicated to its mission of preparing students for employment in the aviation industry. The New England campus is located in historic Concord, MA. It is accredited by the Accrediting Commission of Career Schools and Colleges (ACCSC). NAA-New England has a partnership with Middlesex Community College so that students can pursue educational advancement opportunities. The New England campus is comprised of two facilities that provide space for labs, shops, classrooms and administrative offices. The hangar is located on the flight line at Minute Man Air Field and houses the shop/lab areas for the Aviation Maintenance Technology curriculum. The Baker Avenue facility contains modern classrooms, labs and offices. The Tampa Bay campus has two facilities located in Clearwater, FL. It is accredited by the Commission of the Council on Occupational Education (COE). NAA-Tampa Bay offers advanced degree opportunities through a partnership with Polk State College. The main campus houses administrative offices and classrooms for aviation maintenance and advanced aircraft systems courses. 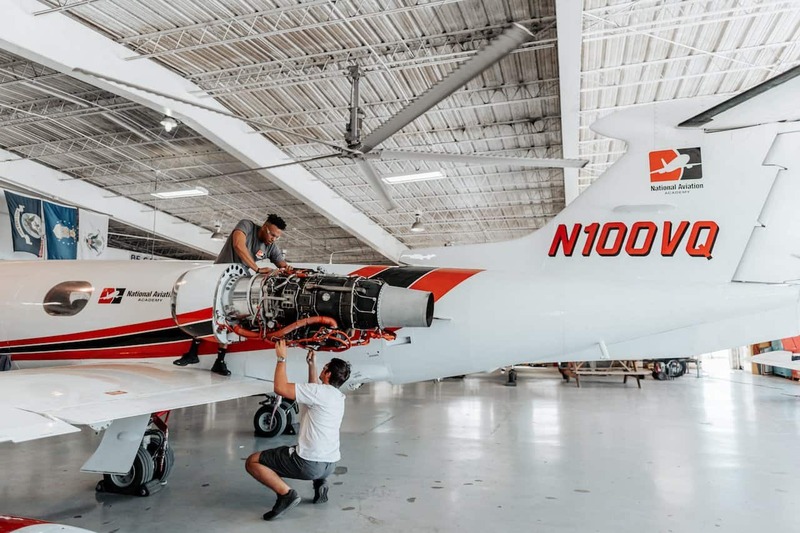 An additional hangar is located at the St. Petersburg/Clearwater International Airport (PIE) for the shop/lab portion of the Aviation Maintenance Technology and Aviation Maintenance Professional programs. PIE is also home to the United States Coast Guard Air Station Clearwater, the largest and busiest air station in the U.S.